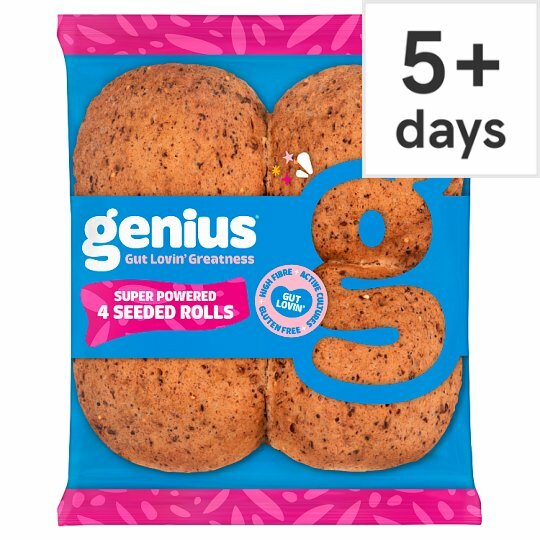 I started Genius to help my gluten intolerant son enjoy great tasting bread. From small beginnings in my own kitchen, Genius grew beyond gluten free loaves, into delicious rolls, wraps and more. And because they're all gluten free and full of fibre, they're enjoyed by anyone who wants to take a bit more care of their tummy. Our rolls keep better when they're cool and dry., Want to save some for later? Check the bag is sealed and pop them in the freezer as soon as possible, and definitely before the best before date., For Best Before Date, see front of pack.